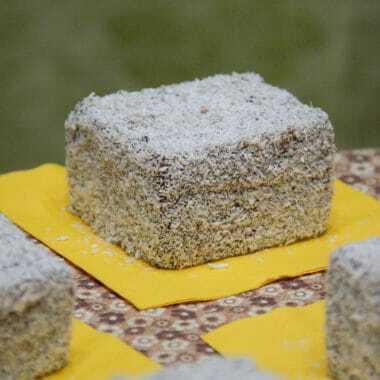 Perfect for picnics and day hikes, lamingtons are one of my all time favorite cakes. 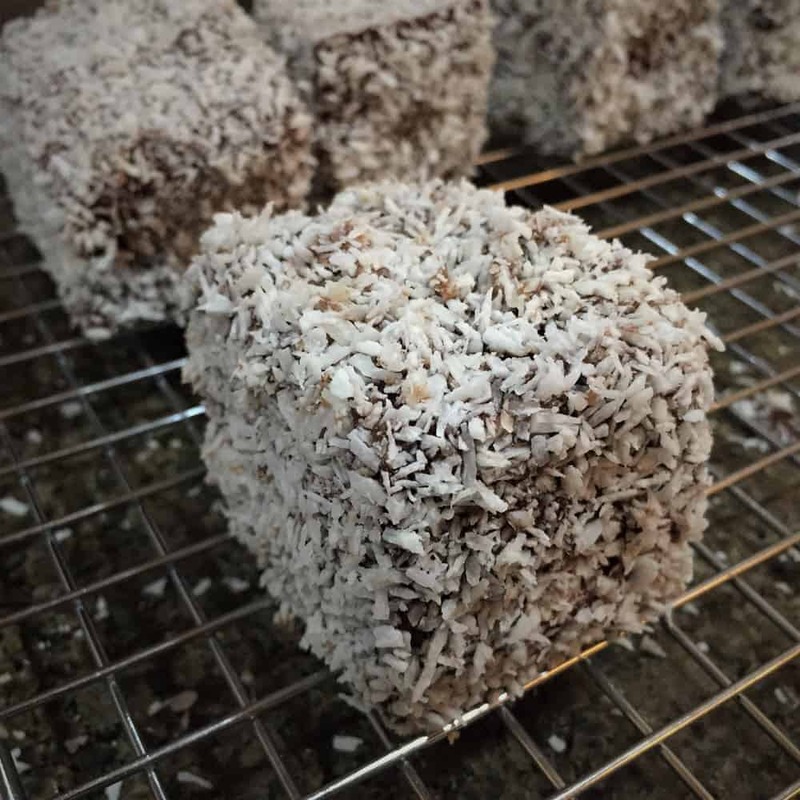 Probably one of the top 10 iconic Australian foods, I’ve had to create a good recipe so I can make them wherever in the world I am. In their simplest form, a lamington is a square piece of sponge cake covered on all sides with a liquidy chocolate icing, then covered in desiccated coconut. 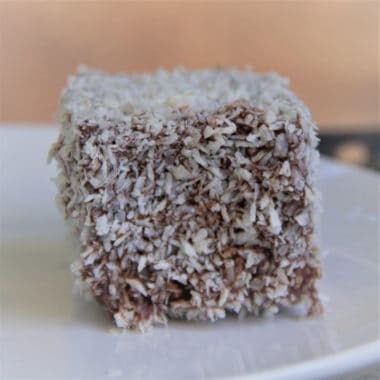 The desiccated coconut is the hardest ingredient to find, as it isn’t like shredded coconut. Shredded coconut has larger pieces and a higher moisture content. 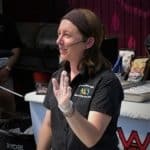 Preheat the oven to 180 degrees C (350 degrees F). Grease and flour the cake tin. In a large bowl, sift in the flours, then add the butter, sugar, vanilla, eggs and milk. Beat by hand or electric beaters, if available, until smooth and increased in volume. Pour the cake mixture into the prepared cake tin then smooth the surface. Place in the preheated camp oven and bake for 50 minutes or until cooked through. Tip: If a skewer inserted into a cake is clear or has crumbs on it when removed it is cooked. If it still has liquid cake mix, it needs to continue baking. 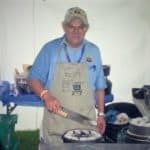 When the cake is cooked, remove it from the camp oven and let rest for 5 minutes. Then, remove the cake from the tin. Place on a cake rack for 20 minutes to cool. When the cake is cool, wrap and place it in a cooler to chill. Tip: If the option exists to freeze the cake, then do this. It makes the icing process much easier and the finished product has better flat surfaces and sharper corners. 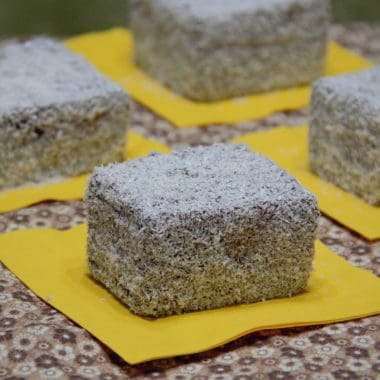 Trying to ice hot sponge will result in a crumbled mess that tastes good, but no is longer really a cake. In a small pan melt the butter, but don’t boil. Remove from the heat. Add the milk and cocoa powder and stir well to dissolve to the cocoa. Sift in the icing sugar one cup at a time, stirring until fully dissolved and smooth each time, until all the icing sugar is added. The chocolate icing is very runny. Remove the cake from the cooler/freezer and cut into the desired square serving sizes. Dip each piece of cake into the chocolate icing, rotating to make sure all sides are evenly covered. 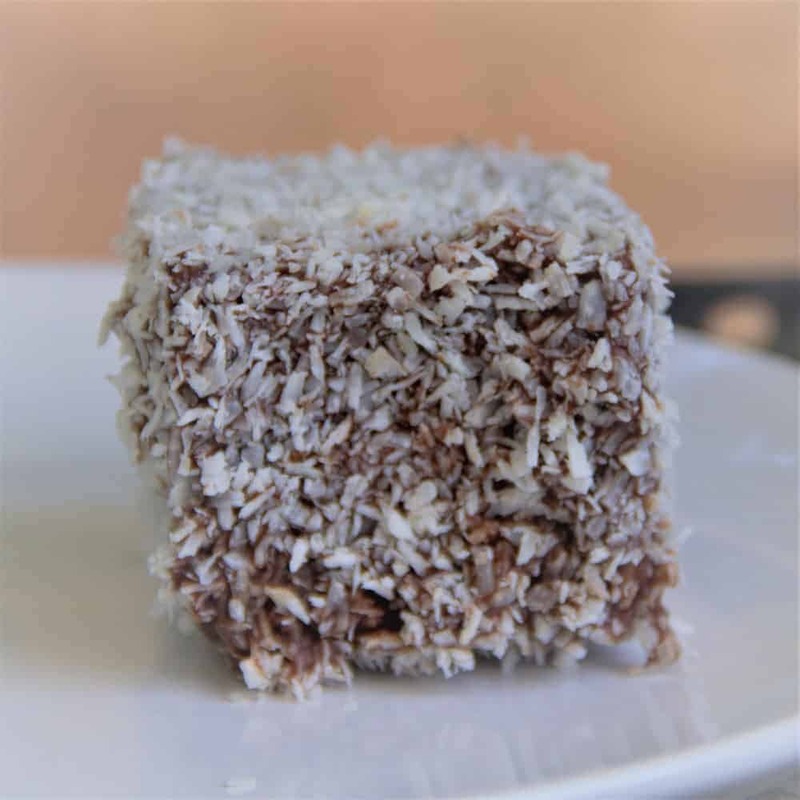 Dip each chocolate covered piece of cake into the coconut until fully covered. Leave to set for 10 minutes before eating. Fruitcakes are the longest lasting cake making them perfect for harsh outdoor conditions. This is an easy pineapple based Boiled Fruitcake recipe to try.